Angie Bell (maiden name Bengtson) has spent the last 9 years working between the two campuses at DHCS and having three of her own children (all now attending DHCS!). She received her MBA from St. Mary's after receiving her undergraduate degree in child development from U.C. Davis outside of Sacramento. Angie enjoys working and living in the local community where she can see her children along with the DHCS students grow and thrive. One of DHCS' primary goals is to provide a loving and home-like atmosphere where children can learn to become competent in every aspect of their lives. The term "competence" is meant to denote a feeling of self assurance in life and is exemplified by statements such as "I can do it!" What sets DHCS apart from similar preschools in the area is that we have smaller size classrooms and low teacher-child ratios to provide an intimate and focused learning environment. Another asset that sets DHCS apart is that it is locally owned and operated for the past 30 years. With owners on-site daily, we can ensure our staff and teachers provide the highest quality child-care possible. 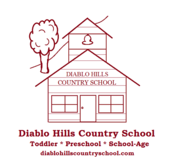 Unlike most corporate based preschools, on site ownership also provides families in the DHCS community with the unique opportunity to discuss the Program, your family or child's potential special need, or anything else with us. Other companies may offer similar services, but we are certain that our services are the best, and come with a personal family touch. Interested in learning more? Have any questions we can answer? At DHCS, we are committed to fostering competence and self assurance in children in all aspects of their lives. 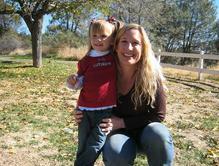 Kimberly Breyfogle has worked in the child-care industry for almost 10 years. She started with DHCS in 2011 as teacher and impressed everyone so much with her skills and loving attitude that she worked her way up to Director! Prior to starting with DHCS, Kimberly was a teacher and an EMT. Her smile is infectious so be sure to come by and say hello. Yvette Erazo has worked in the child-care industry for nearly 10 years. She had been a standout teacher for us for many years prior to being promoted to Assistant Director and then Site Director. When Yvette is not working, she can be found cheering on her children at a sporting event or rooting for A's. Come by and see for yourself why we are so pleased with her as the newest addition to our administrative team! David and Mary Bengtson founded DHCS in 1981 when they opened the Danville Campus. Earlier in Mary's career she focused on children with special needs, taught preschool and later Directed various preschool programs. Since the opening of the Danville Campus, DHCS has expanded to include the San Ramon Campus, and the entire Bengtson family works between the two Campuses. We all feel it is such a blessing to work with eachother in an effort to help serve our families and the local community!